Systems & Tools to connect Agents to buyers and sellers. 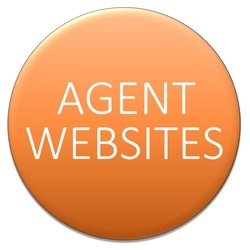 OUR AGENTS BENEFIT FROM A FULL FEATURED, UNLIMITED PAGE, IDX/CRM LEAD OPTIMIZED WEBSITE. WE PROVIDE THESE WEBSITES WITH NO START UP COST OR MONTHLY FEE. SELLERS ARE IMPRESSED BY WEBSITES BRANDED JUST TO THEIR HOME. SEARCH ENGINES LIKE THEM, TOO. WE CREATE A MINIMUM OF THREE SINGLE PROPERTY WEBSITES FOR EACH LISTING. THESE SITES ARE THEN SYNDICATED TO INTERNET PORTALS. HOOK THEM UP WITH YOUR BRANDED PROPERTY INFO AND SEARCH APP. OUR AGENTS SCHEDULE A PROFESSIONAL PHOTO SHOOT FOR JUST ABOUT EVERY LISTING. WE REBATE THE PHOTOGRAPHER'S FEES AT THE CLOSE OF ESCROW. ALL WE ASK IS THAT YOU SUBMIT AN INVOICE TO OUR ESCROW DEPARTMENT PRIOR TO CLOSING. WHAT MAKES OUR SERVICE DIFFERENT, OUR AGENTS STAND OUT, OUR HOMEOWNERS MOVE FASTER, AND OUR CLIENTS ENTHUSIASTIC ABOUT THEIR REALTY WORLD ALL STARS AGENT? CAN A MARKETING PIECE INSTANTLY SET YOU APART FROM EVERY OTHER AGENT? WE DON'T CHARGE A FEE FOR OUR CUSTOM DESIGN SERVICE! BUYERS AND AGENTS ACCESS PROPERTY INFORMATION THROUGH MANY DIFFERENT DEVICES. SOME USE MOBILE APPS AND OTHERS USE WEBSITES. IT IS IMPORTANT FOR HOMES TO LOOK THEIR BEST ON EVERY TYPE OF DEVICE. GOOGLE NOW RANKS WEBSITES ON THEIR ABILITY TO SERVE MOBILE DEVICES. OUR INTERNET MARKETING IS MOBILE RESPONSIVE. 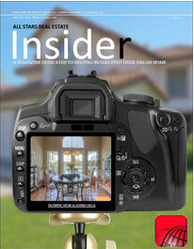 ALL STARS INSIDER IS AN INTERACTIVE MULTIMEDIA MAGAZINE DESIGNED TO HELP MARKET OUR LISTINGS. 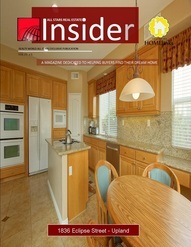 MOST HOMES RECEIVE 4 OR MORE PAGE TREATMENTS. THERE'S NO COST TO OUR AGENTS FOR THIS ONLINE TOOL. 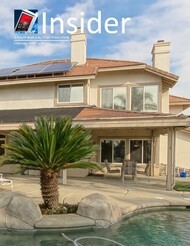 OUR INSIDER MAGAZINE IS IMPRESSIVE. OUR miniMAG IS A GAME CHANGER. 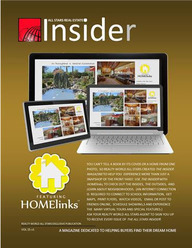 EACH miniMAG FEATURES ONLY YOUR LISTING. IT IS PUBLISHED ONLINE AND IN A PRINT VERSION TO USE AT AN OPEN HOUSE, AS CLOSING GIFTS TO THE SELLERS AND BUYERS, SALES TOOLS, AND MORE. IT IS THE PERFECT VEHICLE TO SHOWCASE ARCHITECTURE CAPTURED BY YOUR PROFESSIONALLY PHOTOGRAPHED HOME. To help you show your clients the benefits they will receive only from you (your Unique Sale Proposition), we give you a unique Listing System with Presentation Tools, checklists, dialogue, training and "how2 guides" all created to help you capture more listings without sacrificing hard earned commission dollars.